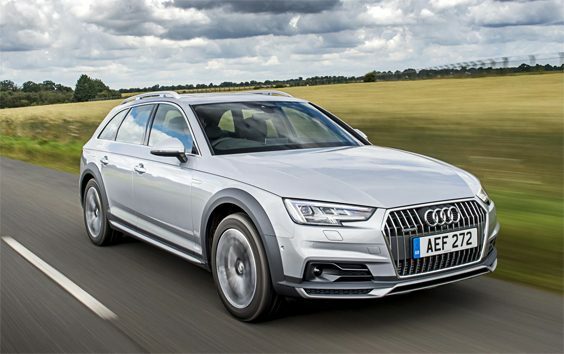 Audi A4 allroad – Car Review. Audi's new SUV assessed by Liam Bird. One should never underestimate just how much kit is required to attend The Goodwood Revival. The annual historic motor-racing festival takes place in Sussex in September, and everyone is encouraged to wear correct period-dress (1948-1966 in this case). You’d stick out like a sore-thumb if you didn’t! That means packing at least twice, once for this century, and once again for the last. Careful thought should also be given to what car should be chosen for such an occasion. Clearly you need something with a big boot – where else would you store the six pairs of shoes Mrs B had carefully selected? And then there’s the matter of the 5-hour drive from our place here in the Shropshire Marches down to The Duke of Richmond’s palatial pad nestled within the South Downs. Comfort, speed, and economy all come into play. There’s also the matter of the great British weather. Last year the heavens opened and the car parks quickly became a quagmire; a mixture of mud and chalk dust that possessed all the grip of castor oil. Getting bogged-down in your tweeds is not a good look. A four-wheel drive is therefore very handy. By now you’re thinking SUV, and I’ll admit I did too. Well for a little while at least. SUVs these days, they’re ten-a-penny, with everyone from Renault to Rolls-Royce now making them. I fancied, nee, needed, something a little less follow-the crowd. I didn’t need anything with high-rise ground-clearance either. What I needed was an Audi allroad. 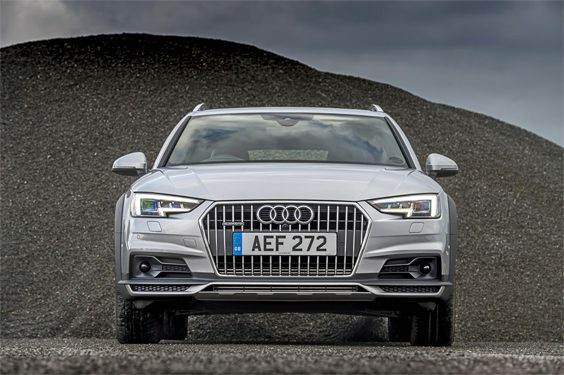 My first thoughts were A6, but a call to Audi’s press office revealed that the A6 Allroad is due for replacement soon and thus they hadn’t got any on fleet. “We do have a 190bhp, 2.0litre diesel, A4 allroad, complete with the 7 speed DSG automatic gearbox though” said the lovely Jo. “Perfect. When can you deliver?” I replied. Bags, tweeds, overalls, laptops, cameras, boots, hats, umbrellas, two vintage dresses, and of course, at least six pairs of shoes, stowed safely in the A4 allroad’s capacious boot, and across its leather back seat – somewhere you’d more likely expect to accommodate three children thanks to isofix points, or maybe 2, 3 at-a-push adults – a couple of weeks later we began our southerly pilgrimage. What quickly became apparent was that on start-up Audi’s 4-pot diesel isn’t quite as smooth and quiet as you might expect – there’s no hiding the tell-tell diesel rattle – but it’s lusty torque delivery does make for relaxed cruising once warmed through. The A4’s steering is light and direct but not exactly what you’d call the most communicative of systems. The DSG auto remains one of the best auto ‘boxes in the business; silky smooth and seemingly always in the right gear. The seats are a tad flat – I’d happily pay extra for the sport pack that provides extra adjustment and bolstering. And, although lacking Audi’s latest tft dashboard and associated sat-nav the allroad’s albeit now slightly dated feeling cabin feels as bullet-proof as ever. So far then, so Audi. The real revelation is the ride. It might only stand 34mm taller than the standard A4 Avant (that’s estate in Audi speak) but the allroad has a compliance that most other Audis can only dream of. Those extra millimetres make a world of difference, the all-road irons out all but the worst a B-road surface can offer. It also feels equally sure-footed once the tarmac runs out. Granted, one look at it tells you you’re not going to tackle the real rough stuff – despite that extra plastic cladding – but, there’s more than enough grip and traction should the going get gooey or snowy. Not that we needed such things. The weather Gods were kind to us, our tweeds, and our shoes stayed dry. Our A4 allroad stayed clean. It also returned over 50mpg over a week’s mixed road driving and nearly 600 miles. And like so many SUV drivers we never strayed further off-road than a grassy festival car-park. 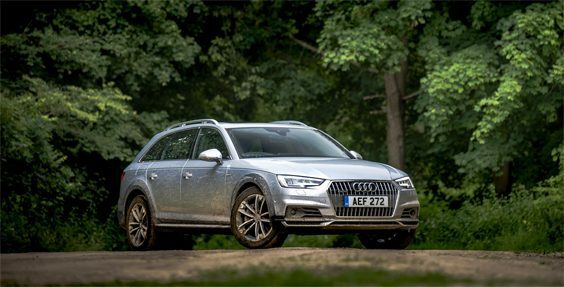 The A4 allroad does practically everything you’ll ever really need it to, and faced with the choice, unless I really needed that extra ground clearance I’d honestly rather have one than Audi’s very similarly performing Q5 – it’s nicer to drive for a start. I’ve driven both. It may not be as fashionable perhaps, but the A4 allroad still has the ability to raise the question: Do you really need an SUV after all? Engine: 1,968cc Inline four-cylinder diesel engine with VTG turbocharger, DOHC, TDI direct injection. Transmission: 7 speed S-tronic dual clutch auto with sequential manual paddle-shift option. Quattro four wheel drive.